If you are still scratching your head over green screens or which way to jump into GUI, learn to develop using Sencha as an open source code project. Stop by our new Facebook Page and give us a Like and a Follow! October 23–26 — Las Vegas, Nevada – ZendCon offers authoritative sessions, in-depth technical tutorials, exhibit hall activities, and informal opportunities to spotlight the best in enterprise PHP and open source development, focusing on the latest for PHP 7, the evolution of frameworks and tools, API excellence, and innovations on many open source technologies related to the web. It includes a track specifically for IBM i development. October 24 — Mississauga, Ontario, Canada – A one-day workshop on modernizing RPG applications will be presented RPG subject matter expert Paul Tuohy. This workshop will focus on modern programming practices and tools that can transform old monolithic RPG applications into a modern, modularized form that makes them useful in the years ahead. During this session, attendees will take a sample application and follow it through the conversion process from RPG/400 (basic RPG IV) to RPG IV and ILE features, modularizing the code, adding DB2 UDB features and replacing the green screen with a graphical or browser-based interface. Registration is $249 for Toronto User Group members and $299 for non-members. October 25 — Webinar – This online session examines the biggest errors made when securing a Power Systems server. Understanding and ensuring application data integrity is critical in preventing security vulnerability and complying with regulations, including SOX, PCI, GDPR, and HIPAA. The presentation begins at noon Central Time. 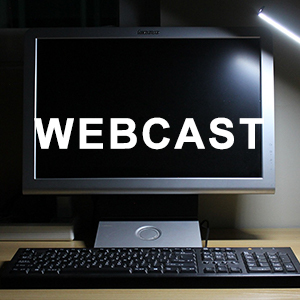 November 8 – Webinar – This session is focused on producing meaningful reports from your production database. Many business analysts are challenged by reformatting dates, calculating costs, applying unique business rules, if-then statements, a variety of table joins, challenging aggregation requests and multiple output formats. Simplifying the process is the main topic of discussion. This presentation begins at 2 p.m. Eastern Time. 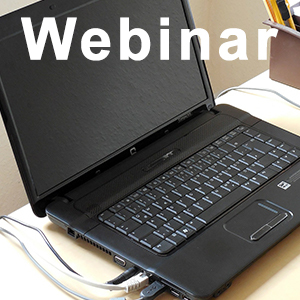 November 14 — Webinar – File transfers can be time consuming to write and maintain. This presentation will help solve connection issues with trading partners and ensure data is protected every step of the way. It also emphasizes the importance of keeping detailed logs of file transfer activity to meet today’s strict compliance requirements like PCI DSS and HIPAA. Topics for discussion include secure protocols, encryption, and moving files between IBM i and other servers. The session begins at 10 a.m. Central Time. As a Member of MMSA, you receive all the benefits of being a COMMON Member, such as access to free education. Take advantage of this benefit by registering for a webcast this month and next. The price is right to learn something new. You can develop grids, forms and graphs in minutes using open source Sencha on IBM i. Using Sencha is fast, and the results are very impressive. If you are still scratching your head over green screens or which way to jump into GUI, learn to develop using Sencha as an open source code project. There is nothing to buy, and you can be up an running in minutes. The class will include handouts and actual source code you can run back in your own shop. Impress your co-workers, bosses and the accounting department for a change! Failure to Modernize - The Real Cost! In 2008, Jim wrote an article for COMMON called A Perfect Storm. This article discussed the low enrollment rates for Information Technologies classes in the United States. Fast forward to 2017, Information Technology education in colleges has made a comeback. Now there is a shortage of qualified young IT professionals with enterprise skills. The shortage of young IBM i professionals will be a significant challenge to you and your company. Learn what your company needs to do to access to the next generation of IBM i professionals. Jim will discuss what will attract young IT professionals to your company and how your company can be assured that there are young people trained in the technologies needed for the future. This shortage will affect careers and the bottom line. Another Member benefit is discounted, in-depth education. As Access Client Solutions is the way of the future on workstation operating systems, you may want to attend this online training. IBM i Access Client Solutions is the newest member of the IBM i Access Product Family. It is a platform independent client that is supported on multiple Operating Systems like Macintosh, Linux and Windows. Familiarity with IBM i Access Client Solutions is very important as this is the future of the IBM i Access Family software on workstation operating systems. This future looks very bright, and IBM i Access Client Solutions provides ease of deployment and operational improvements in nearly every function the client provides. Actually the future is already here, as in April of 2015 IBM announced that there are no plans to support the r7.1 IBM i Access for Windows client on future versions of the Windows OS. So, this IBM i Access Client Solutions product is the only environment fully supported on the Windows 10 OS, and it is the strategic direction for IBM i Access workstation client environments. Day 1: During this session, we compare and contrast IBM i Access Client Solutions to IBM i Access for Windows. Day 2: This session focuses on the Administration tools and approaches for IBM i Access Client Solutions. A special focus is placed on moving a PC that has IBM i Access for Windows installed to IBM i Access Client Solutions. IBM is announcing the latest Technology Refreshes (TRs) for our two most current releases: IBM i 7.3 TR3 and IBM i 7.2 TR7. As long-time readers will know, the IBM i strategy includes twice a year deliveries of new function, allowing many parts of the IBM i OS and its related products to fulfill customer requirements between major releases. You will learn from presentations and peers information that will help you measure your profesional progress. You can contribute something that helps someone else. You will be exposed to different approaches to information technologies and business processes. You will learn about products and solutions of interest to you and your company. You can compare notes on vendors, products and support issues. You can discuss top concerns among IBM Midrange shops. You will receive discounts for attendance at COMMON conventions. You will spend time with people with the same professional interests. You will have the opportunity to win prizes at each monthly meeting. You will enjoy food, fun and friendly folks!